A – There is a right answer between two opposing and distinct views that are difficult to harmonize. We either OUGHT to experiment on human embryos to advance medicine for us all, or we OUGHT to protect human embryos as nascent human life. B – An honest evaluation of the best scientific evidence identifies human embryos as human beings in a very early stage of development. C – Empirical science can inform us about the identity of the embryo as a human being, but it can not inform us on the value of that life. For that we must go to philosophy. D – In general, three different claims can be made addressing the inherent moral nature of the human embryos and our obligations to them. 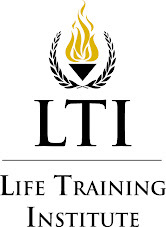 1 – Embryos are human beings, but not persons and therefore we are not morally obligated in our behavior toward them. As we assess this claim we must remember that it grants the humanity of embryos. What this claim does is introduce a new identification into the discussion that is seen as separate from mere humanity, because being genetically human is not morally an impressive or empowering characteristic in its own right. This would lead to specieism (gasp), the archaic belief that our humanity differentiates us in value from the rest of the animal kingdom. So it is not being human that makes us important, but being persons. Persons have rights. Mere human life is occasionally valueless based on the missing quality of personhood. There are two things that irk me about this position. First, this means that all of us have been and continue to be two different things. We are certainly and inarguably human beings (morally irrelevant fact), but we are also persons (morally relevant fact). While we will always be human, we once became persons and our personhood hangs in the balance at all times until we die. This bothers me mostly because the people who champion this position have a heck of a time agreeing on what makes me a person and who qualifies as a person, which is unfortunately the only morally relevant quality we have. As a result, we allow embryonic humans to be destroyed for research. We allow fetal humans to be cut into pieces and vacuumed out of their mother’s womb for any of several unpardonable sins such as being inconvenient, expensive, being a female, or (horror of all horrors) having Downs syndrome. We allow severely mentally impaired humans to be dehydrated to death and call it mercy as we put them out of “their misery.” All of these practices are considered perfectly legal & ethical because some people are convinced that humans and persons are not necessarily the same thing. This leads me to my second issue. This position ultimately degrades the term person so as to be effectively meaningless. Embryonic humans, fetal humans, and severely impaired humans are not persons, but guess what? Chimpanzees, dogs, dolphins, and elephants are persons! How is that so? Well, being a human being offers no special qualification for being a person so not being a human offers no special exclusion. Any animal can be a person! How do we judge? I guess we look for that special sparkle of thought in the eyes of our animal friends and go from there. Mind you, the animals themselves have never petitioned for personhood, such an action is obviously beyond their capacities. This does not stop people from taking this seemingly simple distinction between persons and humans and running amok and even violently pursuing recognition of animal rights while remaining unmoved at the widespread and unnecessary destruction of innocent human life. Personhood does not clearly and obviously exist as a distinct quality from mere humanity. Before we start killing human beings and petitioning for lowland gorilla voting rights we ought to have more than a clever argument. Every person reading this post was once an embryonic human being. You did not later magically become a human person. Some people just needed a rationalization as to why they ought to be allowed to do a bad thing. Since then, the slippery slope of that argument has led us to a world where Peter Singer may no longer seem obviously crazy (see John Jalsevac post)and even William Saletan seems a bit alarmed at how comfortable we are getting making grisly choices. Introducing Wee One Watts. We expect great things from this future blogger look for his/her first post in or around 2030. Hopefully by that time, pro-life blogging will have gone the way of abolitionists and our children can be free to focus on other things. 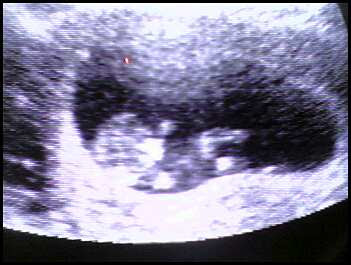 10 Weeks along and the baby is waving and moving around and his/her brother and sister have seen her on the ultrasound. Big brother talked to the baby through mommy's belly button and big sister gave a loud and hardy, "hey." You know, all of the usual anti-choicer evil. I have a confession. I really try to treat our opponents arguments with respect and to take them seriously. I think that is very important, but in this case I don't think I'll be able to. Sometimes arguments are so bad and poorly thought out that I question whether the author of them actually believes them to be true. In this case, I can only assume that these authors merely needed to make some form of argument about the presence of ultrasounds in pregnancy resource centers, and thus came up with any argument they could think of, without thinking it through or believing it at all. I can come up with no better explanation for this horrendous thinking. You may read the entire article if you wish to, but I can obliterate their points merely from the summary. Ultrasound - an important medical diagnostic technology - is increasingly being used as a propaganda tool in the abortion wars. Crisis pregnancy centers are investing heavily in this serious medical technology in order to influence women who are considering an abortion. Let's see if we can understand this. An accurate, true, high definition image of a mother's fetus is a "propaganda tool" that influences unsuspecting women into making a choice for life. I guess a woman who is considering an abortion - an important decision regardless of your stance on the issue, can't be trusted with the truth about the state of their offspring. Isn't the concept of INFORMED consent based on the woman having the most accurate information possible prior to her making the decision? Suppose it is better if we kept them in the dark so that their "choice" can be more, well, consistent with the pro-abortion choice crowd. I'm sure they can't handle the truth. Funny thing is that I must also be guilty of propaganda. Our office has invested tens of thousands of dollars in order to have the most accurate images of the hard tissues of the head and neck. I also show these images to every patient that I perform surgery on. I must be guilty of using my influence as a physician to propagandize my patients to give them the same view of wisdom teeth that I have. Maybe I should show them no images at all - or maybe blurry ones as to allow them to make a propaganda free decision? This is utterly ridiculous. But actually not as bad as the next two. However, there is research indicating that ultrasounds can cause harm, both because of the nature of the ultrasound imaging technology and the faulty operation of equipment or interpretation of results. There are two equally bad points here. The first is that ultrasounds can possibly cause harm to a fetus, and thus should not be used. In truth, there is no evidence that an ultrasound causes harm to a fetus or a mother. However, regardless of that lies the obvious - the fact that ultrasound is used to stage a pregnancy prior to an abortion. In other words, the author argues that it is OK to ultrasound a fetus in order to assist in its dismemberment, but not OK if you wish to have the fetus live. "We are very concerned about all of the children that could be harmed by this technology - except those that we kill with the aid of this technology". Amazing. The second argument is that by taking ultrasounds the equipment could malfunction or be misread thus resulting in a missed diagnosis. As someone who looks at images all day, this is true. It is possible to miss something on an ultrasound or misread the results. However, their solution to this problem is a very unique one. In order to avoid a possible mis diagnosis from an ultrasound image - one should not be taken! We can just leave the woman in the dark - then no misdiagnosis is possible! Brilliant! Serge: There is a possibility it could be cancer. Normally I would recommend a biopsy, but every biopsy carries a risk of missing the diagnosis, so I don't want to do that. We wouldn't want to misdiagnose you. Patient: Can you at least take an x-ray? Serge: Although I usually take an image to rule out bony invasion, there is a chance I may miss something. If I don't take an x-ray there is no chance I'll misread it. Patient: I have these nodules in my neck, do you think it could be related? Serge: It could mean lymph node involvement, but I'm not going to examine you there in case I miss one. You just can't be too sure. Patient: Am I in Canada? Sorry for the cheap shot at the Canadian health care system, but I hope you get my point. Fear of mis diagnosis is not reason to avoid imaging. I can't take these arguments seriously, and yet they are featured on the RH reality blog. They can't be serious. I think that in defending the thoroughness of the protocols some people are actually missing a larger point. This move creates a culture where doctors understand that they are allowed to choose not to treat certain conditions and the burden of the patient advocates is to find a physician that is willing to do what his/her ethical code says they are perfectly free not to do. Treatment of the severely mentally disabled is now a codified option. It is not necessary to paint the doctors as moral monsters to recognize that it is a bad idea to develop a commonly understood procedural sensibility that certain patients do not matter. A doctor should offer his/her professional opinion on prognosis, treatment options, and other areas relevant to their field of study. Doctors are not qualified to determine when life ceases to matter. It simply is not part of their medical training. One of the most unsettling aspects about these conversations to me is that those who are arguing for human worth to be evaluated by utility can sound as if we are merely entertaining conflicting philosophical positions. The problem is that at the end of the day actual people are being unnecessarily dehydrated to death. The absolute confidence in an at best arguable position that ends with the deaths of other human beings is at once astonishing and troubling to me. There is certainly a faulty assumption of special professional expertise on the part of the doctors to determine questions that don't in any special way fall within their field. An interesting thing to see is how, even on the "liberal" side, standards of what is professional behavior vary. Yet the declaration "this is the only professional way to behave" or words to that effect is made solemnly as though with the weight of unquestionable authority behind it. Take the question of patient autonomy. Over on one of my recent threads, you can find a commentator (who may be a doctor himself, though this is a guess) arguing determinedly that the only way for a doctor to be a true professional w.r.t. ANH is to do whatever the patient has chosen when the patient was legally competent. He carries this even to the point of defending dehydrating someone to death who is asking for food and water after becoming legally incompetent where this is taken to conflict in some way with the person's wish given before while legally competent. This, he assures us, is the only true professionalism. But presumably this would mean giving me, for instance, a feeding tube, since I have declared both orally and in writing while legally competent that I want a feeding tube. But there in Manitoba you can see a rather different notion of professionalism, and our friend Mike on this thread implies that a patient proxy would be negligent and lacking in "backbone" if he didn't order a patient's dehydration when "life was no longer worth living." And the doctors in Manitoba clearly do _not_ think that letting the patient's wishes (as represented by his family) be controlling is true professionalism. So even if we had no moral intuitions of our own on this, why should we believe the medical experts when they tell us solemnly that they are bound to do this or not do that by the _true_ standards of their profession? After all, truth just is what it is. It's either "medically professional" to override a patient's and family's wishes and dehydrate him to death or it isn't. It can't be both. As for moral monsterhood, well, people can do terrible things without being monsters, I guess. People decide that "this is the way it has to be" and steel themselves, telling themselves "it isn't as bad as it looks." I believe that this is what has happened w.r.t. dehydrating people to death. The descriptions of what happens to people as they are gradually dehydrated over a period of two weeks are hair-raising. The medical people have to have somehow convinced themselves that this is okay despite the obvious fact that it involves a shocking degree of neglect of the patient's basic needs. Wow. I just finished listening to a web seminar about the efficacy of emergency contraception by Dr. James Trussell, who is one of the most well reknown researchers in the field of contraception. I haven't been putting a while lot of time in studying EC lately, but essentially what Dr. Trussell had to say supports all of my previous postings on the subject, which can be found here. Here are some of the high (low) lights according to the Powerpoint slides that he presented. 1. Trussell previously hoped (published in 1992) that EC would reduce unintended pregnancies and abortion by half. 2. 15 years later 11 studies have consistently showed no decrease of pregnancy rates from use of ECs. 3. Trussell also stated that a future decrease in pregnancy rates from EC use is highly unlikely - an astounding admission. 4. He then quoted TH Huxley when he stated "The great tragedy of science - the slaying of a beautiful hypothesis by an ugly fact." 5. Due to difficulties in estimating the expected pregnancy rates, the published efficacy in the package insert of EC is almost certainly too high. 6. The only thing he could say about the actual efficacy of Plan B was that it was "more effective than nothing". 7. According to the latest research, the efficacy of Plan B can be fully explained via a pre-fertilization mechanism. Research continues to lead away from a post-fertilization mechanism. This is amazing stuff. Since there was extensive news coverage of the effort to get Plan B to OTC status, why the silence in the wake of information that Plan B will not effect pregnancy or abortion rates? Imagine the outcry if a heart medication was thought to reduce heart attacks by 95% - and was made over-the-counter in order to increase its availability to reduce heart disease. A year later evidence comes out that no study had ever found that it had any effect on heart attack rates, and that the only thing that could be said about it is that it is "probably better than nothing". There would be a great outcry, congressional hearings, and accusations that the evil pharmaceutical companies were gouging unsuspecting patients. However, so far there has not been a peep among those concerned about "women's health" that they could be promoting an expensive medication that may not be effective. Lastly, at the end of the seminar there was a pause before participants asked questions. Dr. Trussell commented that everyone must be too depressed. It is vitally important that you understand what I say next. From here on out, the scientist’s job is done. You see scientists sometimes think that their job in step 1 is so important that they get to freeze the process and hold the discussion hostage. But as the boat leaves the dock wave bye-bye to the spitting and foaming scientists. We are moving into a new area that really is beyond the Scientific Method. If you see any of them hanging on to the boat or trying to pull us back ashore feel free to stomp on their fingers or push them overboard. Some of them will be civil and come along for the ride, but some of them are notoriously cranky and will resent the next phase of our journey. In order to properly address step 2 in this splendid sentence we must engage in “the most careful philosophic reasoning at what is owed to a human being at any stage of development.” This means that weighing, measuring, observing, testing, and retesting will no longer be of any use. The realm of the scientists does have distinct borders and there are a great many intellectual pursuits that fall beyond the pale of their expertise. You see, science helped us determine that a human being exists at fertilization. It can not tell us what our duties or obligations are to that human being. A worshiper of scientism may claim that any answer that can not be validated through empirical testing can not be trusted or meaningful. But the power of philosophical argument weighs against this very invective. If the statement is true, the statement is meaningless and can not be trusted as the statement itself can not be tested in this manner. So again, wave a confident wave and thank the scientists for their help. What do we know? What do we think? What can we prove? We know that a new life is present and we can prove that the evidence most reliably indicates this life is a human being. We have a strong case that the embryo is a human being. Now how do we determine what we owe to this life? 1) The embryo is a human being, but not a person and therefore we owe them nothing in regard to moral treatment. In fact, the very idea of moral treatment of embryos is meaningless because they lack a moral value to restrict our actions against them. These arguments concede humanity, but deny a more important necessary characteristic of human life; personhood. 2) The embryos are human beings and they have some moral worth, but the resulting benefits of their destruction for all people places the greater moral emphasis on being free to use them for research in an effort to benefit the maximum number of people. They matter, but curing diseases and scientific advancement matter more. Think of the bodily autonomy rights in abortion arguments. They are based on a concession that the unborn are humans. It is an uncontested and trivial observation. The rights of the pregnant women are simply more important than any acknowledged rights of the unborn life. 2 – Embryos are human beings with some moral worth, but the greater moral good is served by being sensitive to issues of greater moral importance such as near miraculous cures and therapies for millions of suffering people. 3 – Embryos are human beings and of moral value based on their nature or substance and ought to be treated with the same moral obligations and duties that are extended to all human life in later stages of development. Note that we are all making claims. In a balanced and fair pursuit of the right answer, we would suspend any presuppositions and establish which claim has the best supportive arguments and can most reasonably seen to be true. This is not a level playing field, though. All three of these positions must acknowledge that human beings are actively being destroyed every day all over the world in the name of progress and medical advancement. That people are already doing this often confuses the proponents of this research into believing that those of us who hold to position (3) have an extraordinary burden of proof on us to make them cease a commonly embraced practice. That is simply not the case. The willingness of people to engage in unethical and immoral behavior without philosophic and moral reflection does not validate the unsupported presuppositions that embryos do not morally matter. It merely demonstrates something about the nature of competitive science. Next we will start with statement (1). At a recent meeting here at Cobb Pregnancy Services we were discussing the financial cost of abortion. Lori Parker, our Executive Director, pulled out this fee schedule from Dekalb Gynecology Associates here in Atlanta, Georgia. (Actually Decatur, but if you are not from my area Atlanta is close enough) As we read through the various fees I found it impossible to get over one line. Women 20 – 24 obtain 33% of all abortions and teenagers obtain 17% of all abortions according to the Guttmacher statistics on induced abortions in the United States. That means that college students represent a significant number of all abortions in our country. My daughter will be in college some day, God willing. I am not encouraged to know that if she makes a bad decision and faces an unplanned pregnancy, but lacks the funds to make a far worse decision, Dekalb Gynecology and abortion providers like them are willing to discount her abortion with a valid student ID. Students often need financial help across the board, but there is something so grim about this discount. It is just a further mark as to how desensitized we have become to the destruction of innocent life for convenience. Need to end this pregnancy? Come on in! Are you a college student? Well bring your ID and we will knock some money right off of the top and tear your unborn child to pieces at a greatly reduced rate! We love students here! The embryo is alive? Yes. The embryo is genetically human? Yes. The embryo, if left in the proper environment, will naturally progress through the same developmental stages we all did (ie. Embryonic Jay, fetal Jay, newborn Jay, toddler Jay, yada yada yada)? Yes. The embryo is then a human being like me? No. So were we both at that stage but here we are all grown up. It does not look like a human being. But all human beings have looked like that at one point in our development so how can you say it does not look like a human being? It looks exactly like an embryonic human being. It is very very small, though. But it is a living genetically human life in a developmental stage that all human beings must progress through where we just happen to be very small. How can you insist it is not human? How can you insist that it is? Because the best evidence supports a reasonable belief that this living thing is a human being. Well prove it! I thought we just did that. But I can demonstrate that the possibility exists that it is not a human being, thereby undercutting your argument that it is a human without proving your contention to be wrong. This is what the majority of those people who refute the claim that our best evidence demonstrates that an embryo is actually a human being are arguing. Because we can not produce a biological moment when a little popper goes “POP” and a flag that says “HUMAN BEING OF FULL MORAL WORTH!” starts flittering around in the uterus of every woman we can not reasonably know when the unborn become human. But we have no obligation to do that. First of all, because no moment like that exists after fertilization. After fertilization a new distinct life begins. Nothing as remarkable or distinct or as clearly defining will ever happen again to this life no matter how long it lives until it dies. All future physical transitions will be fuzzy by comparison in some way or another. The zygote becomes an embryo becomes a fetus becomes a newborn. Okey Dokey. Then I ask you, what is the current survival rate for children born at 28 weeks gestation, or roughly 12 weeks early? The last I checked a medical site the rate was over 80%. That means that 80% of unborn children are biologically the equivalent of newborns except that they are in the womb instead of in a hospital crib. I wager that number is getting higher by the moment with improved NICU care. Birth is a matter of geographical location not physical development. If you try to figure out the exact moment an unborn child is probably capable of living independently from its mother then the line is FUZZY. Others might argue that fertilization is a process and it is equally fuzzy when exactly a new life begins. Dr. Beckwith points out in Defending Life that this commits the fallacy of the beard. Just because we do not know the exact moment that stubble becomes a beard does not mean that we can not look at a beard and recognize it. Whatever the amount of time it takes for the zygote to fully form, from that moment on we have a new human life present with a distinct genetic and developmental future. No more remarkable moment is coming after this one. So Dr. George says here that our responsibility is to establish a reasonable belief based on the best evidence. It is not necessary to find the pop up waving flag of certainty. Nor is the presence of a possible objection justification to presuppose the inhumanity of the embryo. Just because I can think of something else the embryo might also be does not mean that our views are equally justified. But now that we know that there is a right answer and we have argued that science gives us one very remarkable moment to measure the presence of something new with certainty we come to step two. I love this line. In my ever-growing desire to parse through the complex and make it accessible, lets look at this sentence and see if it is reasonable. The sentence presupposes that there is a resolution to the divergent opinions. There is a right position to be had here. This is not a matter of preference. Destroying embryos for the purposes of research and therapy either OUGHT to be allowed or it OUGHT to be prohibited. So emotional health, psychological health, familial health, or age are relevant to the broad term health. So you mosey into Dr. Aborter’s office and tell him that this pregnancy is upsetting you something awful and you will be scheduled for an abortion at 30 weeks on the “health” exception just because that Dr. Aborter is willing to do it. I heard of another doctor that is willing to kill you if you are depressed and call it a mercy killing as well. What we are willing to do OUGHT NOT to be the hard line determinate of what we can do. Some disturbed people are willing to do almost anything and justify it as mercy or health related. Now if experience shows us that we can not trust the restraint of doctors based on the honor system and their varying levels of conscience, why would it be reasonable to expect different results in regards to embryo research? So Mr. Saletan’s solution is not a solution. It is the large-scale destruction of human life that we truly "respect." Surprisingly, one of the best articles that I have ever read concerning the topic of fetal pain is found here in the New York Times. It is certainly long, but well worth the read if you are at all interested in the topic. As for my view - and considering my career I may be considered well versed on the topic, it may surprise some. The answer to the question of does a fetus feel pain is... I don't know. And neither does anyone else. Pain is a subjective experience that does not always even need a stimulus for someone to experience. My patients under sedation can have an elevated blood pressure despite the fact that I know they are not experiencing pain. At the same time, a patient can have the sensation of pain without any reason. Pain is very complicated, and because none of us is able to remember our fetal experiences - we cannot for certain state that a fetus has the ability to feel pain. This in important to understand whenever anyone on either side claims they know the truth to this question. It also needs to be appreciated that our understanding and treatment of pain has changed greatly in recent years and it is a topic we continue to learn more about. 1. Doctors have historically underestimated the ability of young humans to feel pain. This is true from circumcision to pediatric dentistry, in which many patients still remember having their dentist hurting them because we thought primary teeth had less developed nerve supply and thus wouldn't be painful when drilled into. 2. In NICUs, humans as young as 21-22 weeks gestation withdraw and cry when poked with a needle. I have seen this personally in a 28 week gestation child, and it sure as heck looks like the kid is reacting in pain. 3. During fetal surgery, the fetus in utero withdraws from the surgeon's scalpel. This has caused a change in how we perform anesthesia as well as the use of local anesthesia for the wound during surgical interventions. 4. A human fetus in utero shows a hormonal response that is similar to the hormonal response that infants show when they are in pain. This hormonal response causes a significant change in the vital signs and evidence shows that a human which experiences this hormonal change may have detrimental effects from it in the future. 5. Controlling pain via local or general anesthesia decreases the above hormonal response in both human beings outside of the womb and those inside of the womb. 6. Born human beings that do not possess a cerebral cortex seem to be able to feel pain. In conclusion, can we say with certainty that a fetus can feel pain? No. Neither can anyone state that they know that a fetus cannot feel pain. However, considering the evidence above, and considering our past errors in the past, we should assume and treat accordingly every human organism that we subject to a painful surgical stimuli as if they can feel pain. Those who state otherwise bear the burden of proof to show why we should not. In short, if you are using powerpoint, please consider dropping it. Good speakers use it sparingly. Suppose it was available in 1863. Can anyone seriously imagine Lincoln using it for the Gettysburg Address? You don't have to imagine--See the disaster unfold for yourself. Then, ask yourself this question: If Powerpoint makes Lincoln look awful, what on earth is it doing to my speech? Update, 12:55--A reader wonders if my remarks about PP apply to technical or "How To" workshops where the presenter needs visuals to illustrate technologies like equipment, blogging, etc. Good question, and the answer is no,my remarks do not apply in those settings. My concern was with those persons making pro-life speeches, not presentations of a more "How To" nature. 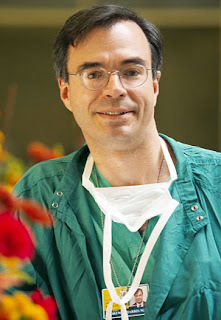 My friend Dr. Andy Harris, a state senator from Maryland, has defeated incumbent GOP Congressman (and very liberal) Wayne Gilchrest in the primary election for the 1st Congressional district. Andy won 44% to 32%. Three years ago, Andy invited me to speak to the pro-life members of the Maryland House of Delegates. That same year, Andy's wife Cookie set me up to speak in selected Catholic schools in Annapolis and Baltimore. More good news...I just got May 20th tickets to this show! As an oral and maxillofacial surgeon, extraction of third molars (wisdom teeth) is the most common procedure that I perform. The process is pretty straight forward. The patient comes to me via a referral, and presents for a consultation appointment where an exam and consent discussion is done. During the process, my patients view a flash program entitled Emmi that shows them diagrams of the planned procedure as well as a discussion of the risks. I then perform an exam on the patient, showing them the teeth in question, the need for the surgery, and describe what I plan to do. The patient then makes another appointment for the surgery, and has it done. Nothing to it. It should be noted that the program contains descriptions of procedures that the patient may not have. For example, if someone only has lower wisdom teeth, they will also hear a description of upper wisdom teeth extractions. Furthermore, I often discuss issues that are not completely settled in the OMFS community. For example, many patients believe that removing horizontally impacted wisdom teeth will prevent crowding - and I mention that that has not been confirmed but many practitioners believe it is true. However, my friends at the Guttmacher Institute believe that my policy is a "misuse [of] the informed consent process" and "counter to fundamental ethical principles that have long guided the practice of medicine in the United States". They argue in this article that such information given to patients adversely effects their ability to make an informed consent decision. Of course, they are not speaking of wisdom teeth extractions, but of elective abortions. They argue that giving women additional information regarding abortions as well as opinions that are in conflict unfairly attempts to dissuade women from having this procedure. If that is the case, why has not one patient of mine complained that I wrongly attempted to convince them not have their wisdom teeth out? Why should the informed consent process for an abortion, a decision that is unquestionable more important than wisdom tooth extractions, be easier and quicker than that for tooth extractions? Lastly, why can't we trust women to make the correct decision using all of the information available to them? Science is intended to be an objective, empirical investigation of our world in an effort to discern truth. The scientific literature is intended to aid in that process by the open and truthful dissemination of data and conclusions to be considered by others. It is for this reason that I struggle almost every time I read articles or press reports from "family planning" sources. Here is a prime example. Despite widespread belief that emergency contraception is necessary to reduce levels of unintended pregnancy, almost half of more than 400 health care providers surveyed in Jamaica and Barbados have at some point refused to provide the method to women seeking it. Eeks. Is it really necessary? Lets first try to forget that logically speaking, pregnancies really do not happen by accident. Pregnancy occurs as a natural consequence of certain sexual activity. Why do we need to imagine that folks are just walking down the street when, oops, a pregnancy just happens? Human beings, by virtue of being able to control our own behavior, have all of the tools necessary to prevent unintended pregnancy. In all but one study, increased access to emergency contraceptive pills was associated with greater use. However, no study found an effect on pregnancy or abortion rates. CONCLUSION: Increased access to emergency contraceptive pills enhances use but has not been shown to reduce unintended pregnancy rates. Here's where is gets really interesting. You may think that the author of the Guttmacher study was not aware of Trussell's article. This could not possible be the case, because they actually cited Trussell's article in the study, albeit in order to support a different point. Amazing. Allow me to review. The Guttmacher Institute claims in a press release that there is a consensus that EC is necessary to reduce unintended pregnancies. However, the study itself cites an article which shows that EC had yet to have an influence on decreasing pregnancy rates regardless of how easy it is to access or how often it is taken. And this is taken as science. And it happened in the first sentence of the article. 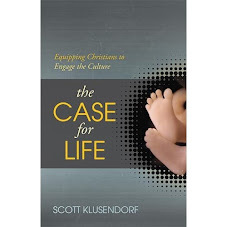 William Saletan reviews and critiques Robert George and Christopher Tollefsen's book Embryo: A Defense of Human Life in The New York Times here. George and Tollefsen respond here at The National Review Online. Enjoy the exchange. It is refreshing. I must come clean. A part of me really wants to like Amanda Marcotte. She is tough. She stands up for what she believes. She has a nasty streak a mile wide and uses a healthy portion of sarcasm. Sometimes, I even actually believe that she was shocked at the backlash over her being hired to run John Edwards’ campaign blog. Then I listen to her Reality Cast here on RHReality check and I have to wonder how she comes up with this stuff. It is almost as if she has some “Magic 8 Ball” manufactured by Planned Parenthood that produces fictional positions to excoriate. A deadline is coming so she runs to her computer, violently shakes up the ball, and her straw men start to materialize through the mysterious blue liquid like magic. If you want to sound smart and make your opponent sound stupid, straw men are the way to go. Who cares what people are actually saying, that involves thinking and reading. Here is how we do it. “I spend a lot of time on this program documenting the way that the anti-choice movement has embraced this strategy of claiming that they want to protect women. The idea is that it's a way to escape the rather inescapable conclusion that they want to bring women's bodies under state control because they hate us. The argument is something like, ‘We don't hate you. We just think you're inferior to men and need to be controlled for your own good." Such monsters!! I hate the lot of them!! The only real problem is that I have never met anyone anywhere that fits this description. I used to know a guy who talked to himself quite a bit. He was a lonely and odd fellow and he actually formed arguments and counter arguments and worked them out without any outside source or conversation. He did very well in these arguments all the way up until the point that he interacted with an actual human being. Then you would see the look of frustration as the real discussion failed to progress in the manner that the imaginary argument had. Straw Men are great because they do not talk back. Beat them, burn them, mock them, and celebrate your phony victory over them. Just do not kid yourself that you have actually accomplished anything by engaging in them. For the record, I know a great many individuals who identify themselves as pro-life who do not hate women, do not want to steal your birth control, and are very familiar with the developmental processes of unborn human beings. They even adhere to a sophisticated approach to our moral obligations to the unborn based on the nature or substance of human life. This group includes women who are professional lawyers, doctors, teachers, computer programmers, etc. Heck, it includes my wife. All of these people are dramatically different than the farcical characterizations of Ms. Marcotte. But I hope Amanda is smart enough to know that. As long as she can score her rhetorical points she appears happy. If you listen all the way to the end you will get hear Amanda pat herself on the back while mocking Bill Bennett for something that Bill Kristol said. I can think of no better way for her to close this piece off than being so obviously factually inaccurate. I'm stuck in the Denver airport and CNN has a news flash. Romney is out. John McCain will be the GOP nominee. Now what? Some conservatives have reportedly formed a suicide voters pact, meaning they'll vote for Hillary just to punish McCain. This position is stupid. It's also immoral. It puts one's emotions ("I hate McCain") above our moral obligation to save as many lives as possible given current political realities. I realize that some conservatives feel we must purify the party with an electoral loss. Sure, losing an election tends to do that. But at what cost? That is to say, what, exactly, do these purists think a reconstituted and purified GOP will reasonably accomplish in future election cycles? Are the purists prepared to wait 25 years to undo the damage done by Hillary or Obama court appointees? Do purists really think a future GOP Congress will just march right in and undo a federal health care plan that includes universal abortion coverage and destructive embryo research? For me, I vote to limit the damage. Greg Koukl is right: A second-class fireman is better than a first class arsonist. Stand to Reason Blog has posted a link to Robert George's article Embryo Ethics. Gee, how many times have I heard liberal educators insist that any law against abortion--even a modest one--is unenforceable? For some, the solution is to ban this instead. I can't wait to see them try. Obama's message: I will end the politics of division by attractively stipulating the correctness of my views and thus implying that those who don't agree are ugly and want to perpetuate the politics of division. Years ago, Frank labled this the "passive aggressive tyranny trick." Indeed. Glenn Statile outlines Robert P. George's article "Embryo Ethics," published in Daedalus (Winter, 2008). The full article from George is not on-line, but I have it in print form and it's superb. John Piper connects the dots on abortion, Down's Syndrome killings, and terrorism. Jivin J writes about a conversion story and an abortion-choicer who gets at least one thing right. Atheism and Violence is a piece by Edward T. Oakes. Meanwhile Steve Wagner links to a World Mag post on abortion-choicers acting violently toward pro-lifers. Not surprising, there's a deafening silence from the media on both points. Gosh, am I dumb. My friend Steve Thomas has a blog and I'm just now finding out about it? Steve and I were in grad school together at Biola (Christian apologetics). He's a very smart guy. Don't be ignorant like me. Go there now. Nadine Strossen is President of the ACLU and I consider her a friend. She is pleasant and I enjoy her company each time we debate. I wish more of my opponents were like her. Last night at Malone College's World View Forum, we debated in front of a full house of 1,000 students, faculty, and others. The ACLU of Ohio even reserved 100 seats in advance. The theme of our exchange was "Abortion: Legal Right or Moral Wrong?" I thought the event went very well despite a structure that did not allow for adequate rebuttal speeches. 1. Each speaker had 20 minutes to make opening arguments. 2. Each speaker had 5 minutes to cross-examine the other. 3. A student panel then asked each speaker 3 questions, followed by 45 minutes of Q&A from the audience. 4. Each speaker had 5 minutes for closing statements. The coin toss went to Nadine which meant she got to speak first. Nadine tried to frame the debate with an appeal to reproductive freedom. To summarize her case, reproductive freedom means the ability to choose whether or not to have children according to one's own personal religious beliefs. That freedom is necessary if all persons are to lead lives of self-determination, opportunity, and human dignity. She repeatedly stressed our need to work together to reduce the high number of abortions, by which she meant pro-lifers should support tax-funded contraception programs. Notice the question-begging nature of her claim. She simply assumes, without argument, that the unborn are not human beings. Would she make this same claim for human freedom and self-determination if her neighbor suggested killing toddlers as well as fetuses? "Men and women, I agree completely with everything Nadine just said. She's right that abortion is a personal, private matter that should not be restricted in any way. She's right that we shouldn't interfere with personal choices. She's right that pro-lifers should stay out of this decision. Yes, I agree completely IF. IF What? If the unborn are not human beings. And if Nadine can demonstrate that the unborn are not members of the human family, I will concede this exchange and so should everyone else who is pro-life. Contrary to what some may think, the issue that divides Nadine and I is not that she is pro-choice and I am anti-choice. Truth is, I am vigorously "pro-choice" when it comes to women choosing a number of moral goods. I support a woman’s right to choose her own health care provider, to choose her own school, to choose her own husband, to choose her own job, to choose her own religion, and to choose her own career, to name a few. These are among the many choices that I fully support for the women of our country. But some choices are wrong, like killing innocent human beings simply because they are in the way and cannot defend themselves. No, we shouldn’t be allowed to choose that. So, again, the issue that separates Nadine and I is not that she is pro-choice and I am anti-choice. The issue the divides us is just one question, What is the unborn? Let me be clear: If the unborn is a human being, killing him or her to benefit others is a serious moral wrong. It treats the distinct human being, with his or her own inherent moral worth, as nothing more than a disposable instrument. Conversely, if the unborn are not human, killing them through elective abortion requires no more justification than having your tooth pulled." In short, I was willing to buy her argument for freedom and self-determination--but only after she demonstrated that the unborn were not human beings. I agree with Frank Beckwith: It won't work to say we should be a society that supports choice when the very question of who is part of that society, that is, whether or not it includes the unborn, is itself under dispute in the abortion debate. Nadine needed to make a case against the humanity of the unborn. Nadine did not seriously challenge my case scientifically (other than to deny, without any evidence, that science tells us the kind of thing the unborn is) or philosophically. During the cross examination, I asked her why she was troubled by the high number of abortions. After all, if abortion does not take the life of a defenseless human being without justification, why be troubled by the high number of abortions? Why seek to reduce it? She never really answered that question. "Nadine, you agree with me that humans have natural rights simply because they are human and that government has a duty to protect those rights. You also agree that those rights come to be when we come to be. Science establishes that we came to be at conception. Thus, shouldn't the same government that protects your natural rights protect those of the unborn?" Again, she didn't really answer the question other than to say the unborn were potential life and people disagree about when life begins. I countered by reading, again, select quotes from embryology text books that establish, without any doubt, when human life begins. I then asked why, given this overwhelming consensus, we should believe her claim instead of the embryologists? I've got to run catch my plane to Chicago. I will try to say more later today.